Welcome to the GLATA Student Senate! 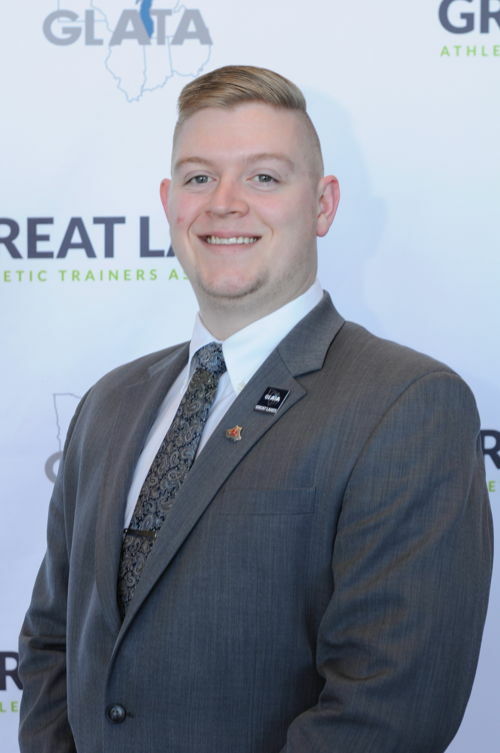 Mission Statement: The Mission of the Great Lakes Athletic Trainers Association (GLATA) Student Senate (GSS) is to organize educational programs and opportunities to meet the needs of the GLATA students, and to develop the athletic training leaders of tomorrow. The GLATA 51st Meeting and Symposium will be March 13-16 2019 - Westin Chicago North Shore, Wheeling, IL. 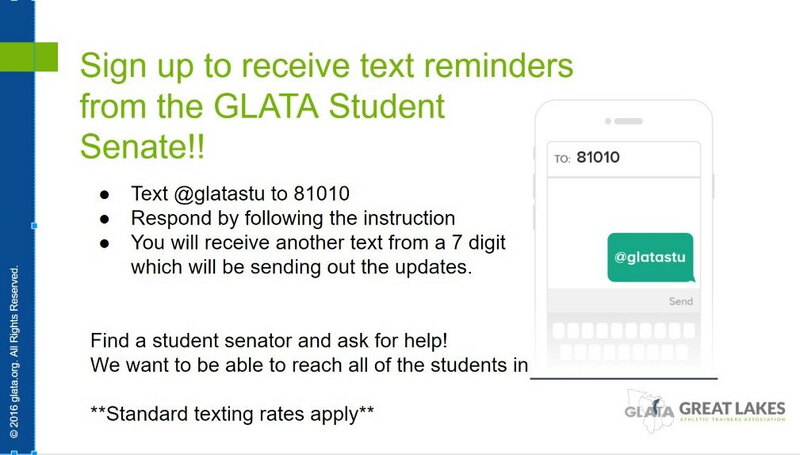 The GLATA Student Senate is now sending out text updates about current events. We'd love for you to join! Just follow the directions below to receive updates! The GLATA Student Senate is excited to announce that the very first Preceptor of the Year is Brandon Donahue from Winona State University in Minnesota!! Thank you all for the nominations, there were many excellent candidates!! 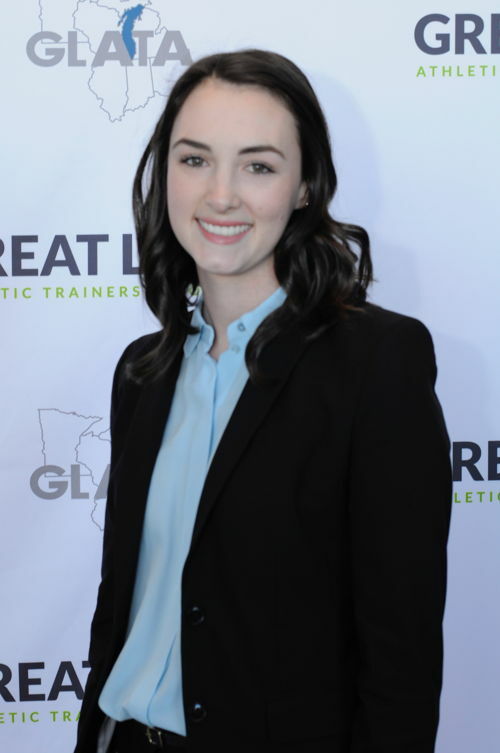 The GLATA Influential Individuals Project aims to recognize individuals within the athletic training profession in the US and within District 4 that have made an impact on our profession, and has helped shape what it is today. We hope to educate GLATA Students about these individuals, and provide them the opportunity to network and reach out to these professionals. Thank you to all former GSS Alumni. Our current Senate would not be where we are today without your hard work! Liz is from Annandale, VA and graduated from W.T.Woodson High School. She is currently starting her junior year at Illinois State University in Bloomington-Normal, IL. Liz serves as the Vice Chair of the GLATA Student Senate. As the Vice Chair of the GSS, Liz is responsible for helping lead meetings and activities with the Chair. She also plans Student Led Discussions for the students of District 4. Liz has worked with Illinois State women's soccer, men's baseball, Illinois Wesleyan's women's lacrosse, and a local high school. She is also the webmaster for the Illinois Athletic Training Association student congress. In her free time, Liz enjoys playing with her hedgehog, eating Taco Bell, and volunteering with her service sorority. Liz plans to attend graduate school for her Masters in Athletic Training after graduating from ISU. Rachel is from Columbus, Ohio and is currently in her senior year at Wilmington College. She serves as the Secretary for the GSS as well as the President-Elect of the OATA Student Senate. At Wilmington, Rachel has worked with men's soccer, football, women's basketball, and local high schools. On campus, she is also involved as the Secretary of her sorority and as President of the Sports Medicine Leadership Council. Rachel enjoys baking and playing lacrosse in her free time. After graduation, she plans on pursuing her Masters Degree in Athletic Training and eventually would like to work with professional hockey teams. Ben is from Willowbrook, IL and graduated from De La Salle Institute in 2015. He is currently in his senior year in Illinois State University's athletic training program in Bloomington-Normal, IL. 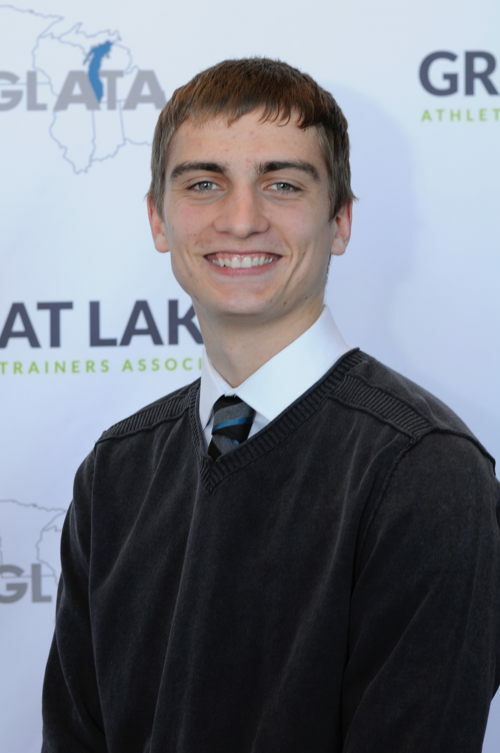 Ben has been on the GLATA Student Senate for a year now and is serving as Treasurer. He also works in the Illinois state association as a Student Congress member and in Illinois State's student athletic training club on the executive board. 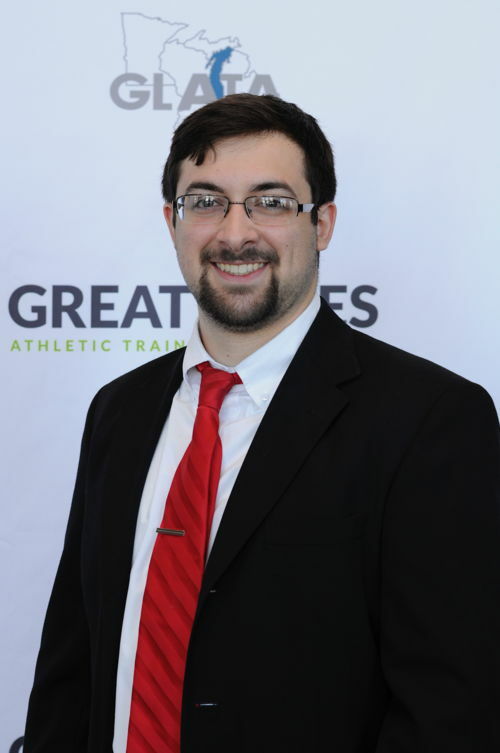 Currently, Ben is working with the Illinois State Women's Volleyball team but has also worked with the football, basketball, and track and field teams as well as University High School in Normal, Illinois. Outside of athletic training, Ben likes to spend time with friends and play intramural sports. He plans go to graduate school after completing his undergraduate education in 2019 to eventually pursue a career in basketball or volleyball at either the college or professional level. Camarie is from Savannah, MO and graduated from Savannah High School. She is currently attending University of Wisconsin-Eau Claire. As a GLATA Quiz Bowl Co-Coordinator, she is responsible for the organization and planning of the annual event. 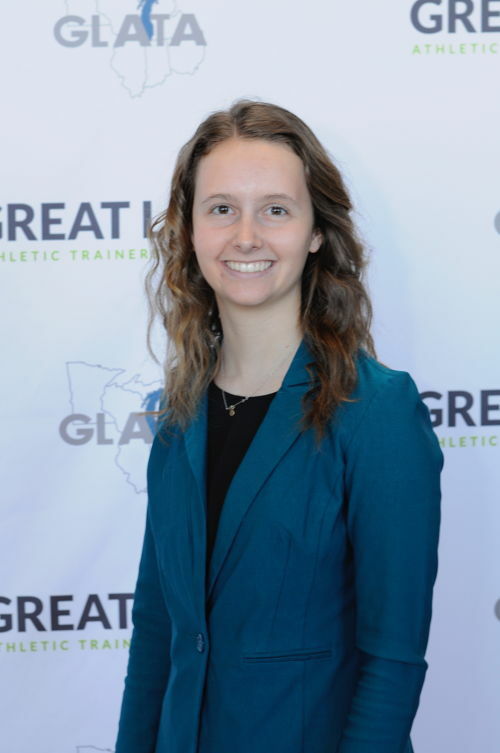 Camarie has spent the past semester completing clinical rotations in the Athletic Training room on campus, at Mayo Clinic, and at a local high school. She is also an active member of The Navigators, Triathlon Club, and serves as the Vice President for the Resident Hall Association. In her free time, Camarie loves spending time with family and friends, traveling, and running. Upon graduation from Eau Claire, Camarie plans to attend graduate school for her Doctorate in Physical Therapy and work in a pediatric sports medicine setting. Aaron is form Tilleda, Wisconsin and graduated from Bowler High School. He is a senior in the Athletic Training Program at the University of Wisconsin- Stevens Point. Aaron serves as one of three Student Education Program Co-Coordinators of the GLATA Student Senate. As one of the Student Education Program Co-Coordinators of the GSS, Aaron is responsible for working with the other SEPC's ; reviewing and selecting speakers for the Student Program. Aaron also plans the Annual AT Olympics for the students at GLATA. Aaron has worked with UWSP Women's Volleyball, Men's Hockey, Wrestling, Women's Basketball, and Track and Field; as well as working with local High Schools Weyauwega-Fremont and Wausau East. Aaron has also obtained internships with the Wausau Riverwolves NA3HL Junior Hockey League team as well as with the Wisconsin Rapids Rafters Northwoods Baseball League team. In his free time, Aaron enjoys hunting, fishing, spending time with his wife Jami and Bluetick hound Cash, participating in intramural sports, his fraternity (Phi Sigma Phi- Kappa Chapter), and most of all watching sports; hockey in particular. His goal after graduation is to get a job with a Junior Hockey Team or a semi-pro/pro Hockey team. Breckan is from Lake Lillian, MN and is currently a junior at Gustavus Adolphus College in St. Peter, MN. Breckan serves as the Webmaster and Public Relations Coordinator. As Webmaster, Breckan coordinates with the GLATA Web Team to update the student section of the GLATA website and keep students in District IV informed. He also manages the GLATA Students Facebook and Twitter accounts. 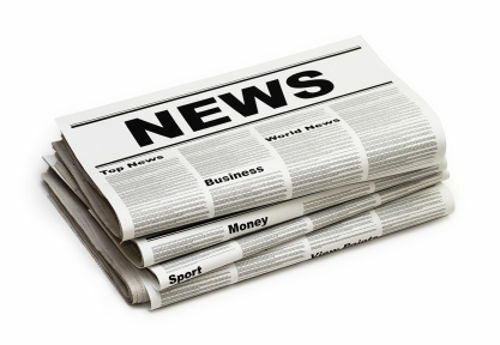 As public relations appointee, Breckan communicates with students throughout District IV regarding athletic training fundraisers, programs, and activities. Clinically, Breckan has worked with the Gustavus football, baseball, women's hockey, and softball teams. His hobbies outside of athletic training include golfing, hunting, fishing, and spending times with friends and family. Breckan hope to attend Chiropractic school after graduating from Gustavus in the fall of 2020. Sarah is from Eden Prairie, MN and graduated from Southwest Christian High School. She is currently in her junior year at Bethel University in St. Paul, MN and serves as a member of the GLATA Student Senate. As a part of GSS, Sarah is responsible for sponsorships and donations that help support the annual GLATA conference in the spring. Sarah has worked with Bethel University’s men’s soccer and football teams and interned at OSR Physical Therapy this past summer. She also received the MATA 2018 Scholarship Award sponsored by TRIA. Sarah plans to attend graduate school for her Doctorate in Physical Therapy after graduating from Bethel. Aubrey is from Lapeer, MI and graduated from Lapeer East High School. She is currently in her senior year at Michigan State University in East Lansing, MI. Aubrey serves on the sponsorship and donations committee for the GLATA student senate. On the sponsorship and donations committee Aubrey is responsible for ensuring donations and sponsorships are collected for the annual GLATA meeting. 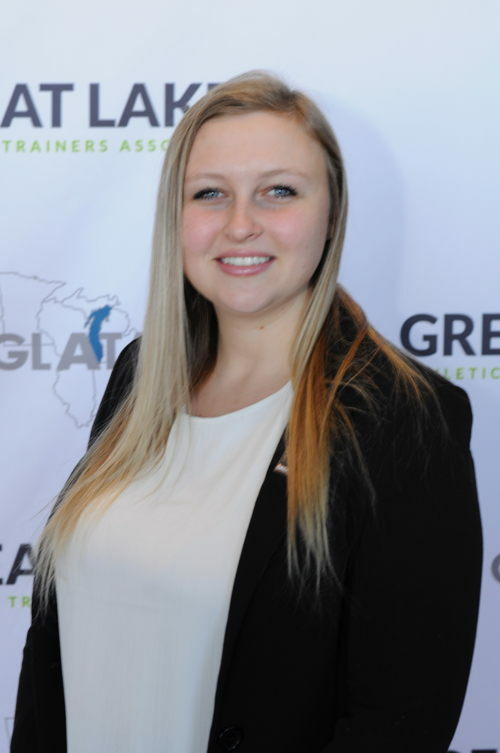 In addition to the GLATA student senate Aubrey is the president of the Athletic Training Club at Michigan State, the pledge educator for Phi Epsilon Kappa, and is the programming director for Michigan Youth Leadership. 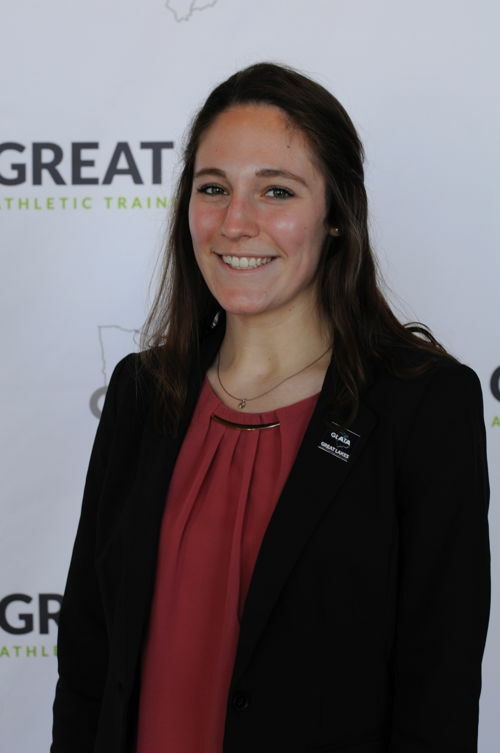 Aubrey is involved in the MATS student committee, and is a student member of the NATA. 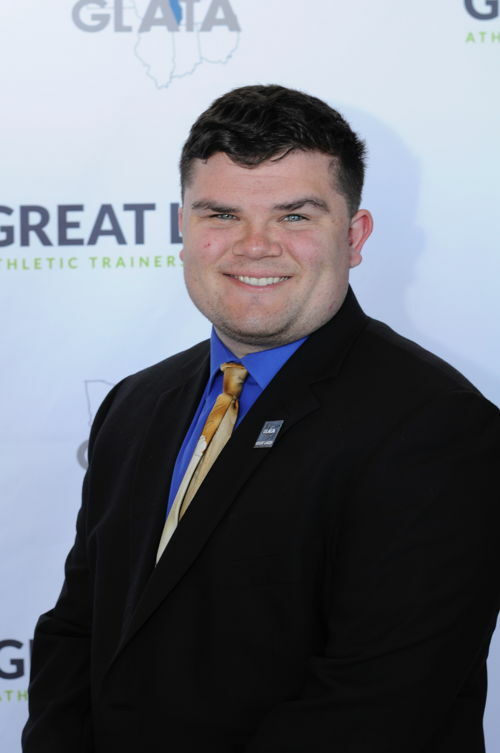 At Michigan State Aubrey has worked with women’s basketball, field hockey, football, wrestling, and baseball. In her free time Aubrey enjoys spending time with her family and friends, gardening, and cooking. After graduation Aubrey plans to receive a masters or doctorate in athletic training and pursue a career as a D1 athletic trainer, with the hopes of being a team USA athletic trainer in the future. Emily is from Fort Wayne, IN and is beginning her junior year at Purdue University. 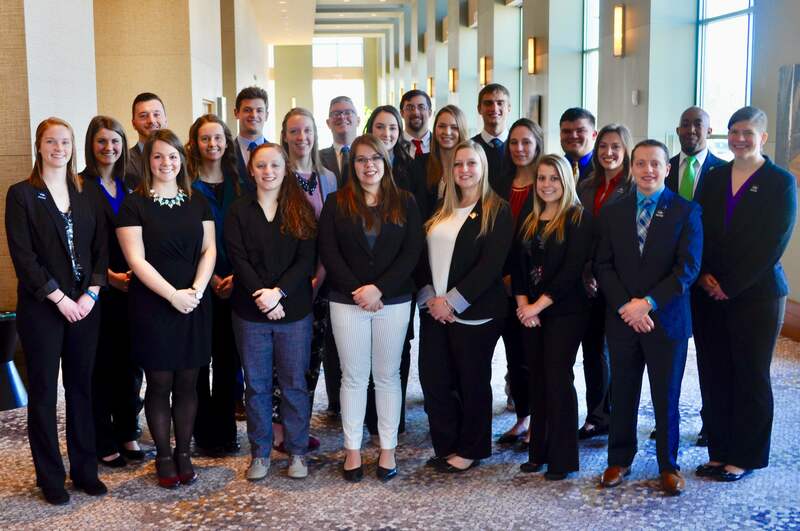 Emily serves as one of the Student Education Planning Coordinators for GLATA and works with her committee to prepare the student programming for the annual conference. She also serves as the student representative to the Indiana Athletic Trainers' Association (IATA), and is working to promote and increase bone marrow donors through the Project 44 initiative. Emily has gained clinical experiences working with Lafayette Jefferson High School, PUSH Physical Therapy, and Purdue wrestling, football, and Women's soccer teams. This summer she had the opportunity to travel abroad and study traditional Chinese medicine at Beijing Sport University. In her free time, Emily loves being active, exploring nature, and spending time with friends and family. She plans on continuing her education in sports medicine either through accepting a GA position or attending Physical Therapy school after graduation. Robert is from Crown Point, IN and graduated from Lake Central High School in 2015. Robert is currently a senior at Indiana State University. On the GLATA Student Senate, he serves as one of the Student Education Program Coordinators. As part of the position, Robert is in charge of planning the Career Roundtable Event and reaching out to speakers for the student program. In addition to the GLATA Student Senate, Robert serves as an IATA student representative. Currently Robert is working with the women’s volleyball team at Indiana State, but he has also worked with local high schools. Outside of athletic training, he enjoys listening to music and doing arts and crafts. After graduation, Robert hopes to one day work with a Big 10 university while still staying involved in GLATA. Carolyn is a native of Pittsburgh, PA and is currently working as a resident athletic trainer for Mercy Health at the Cincinnati Ballet while also completing her Masters in Exercise Science from California University of Pennsylvania. As a GLATA Quiz Bowl Co-Coordinator, she is responsible for the organization and planning of the annual quiz bowl event. Carolyn is a graduate of the University of Cincinnati where she was the Vice President of the athletic training organization. She currently serves as the President of the Ohio Athletic Trainers’ Association Student Senate and as a student committee member of the International Association for Dance Medicine and Science. Emily is a senior at The Ohio State University. 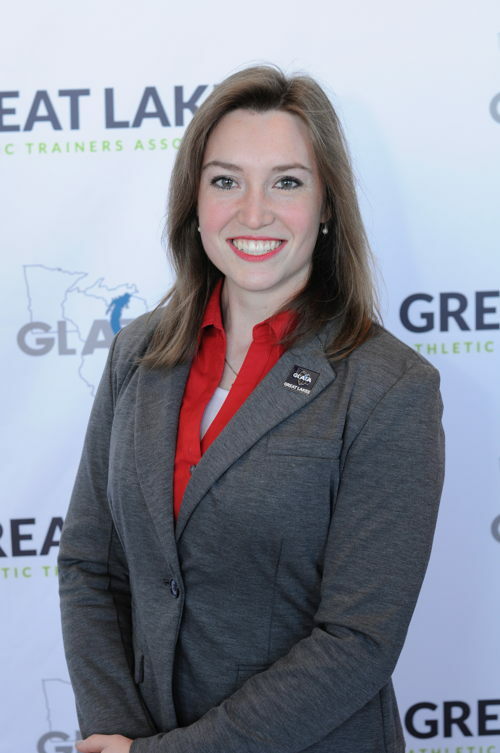 She is originally from Greenville, South Carolina and is the NATA's Student Leadership Committee's (SLC) District 4 Representative. In this position, she serves as the liaison between the NATA SLC and the GLATA Student Senate. Additionally, Emily is the Outreach Subcommittee Chair on the SLC where she leads the projects and initiatives put out by the NATA for students. At Ohio State, Emily has worked with football, track and field, wrestling, Recreational Sport club teams, the Marching Band, also known as The Best Damn Band in the Land (TBDBITL), and has a full season internship with the MLS's Columbus Crew. 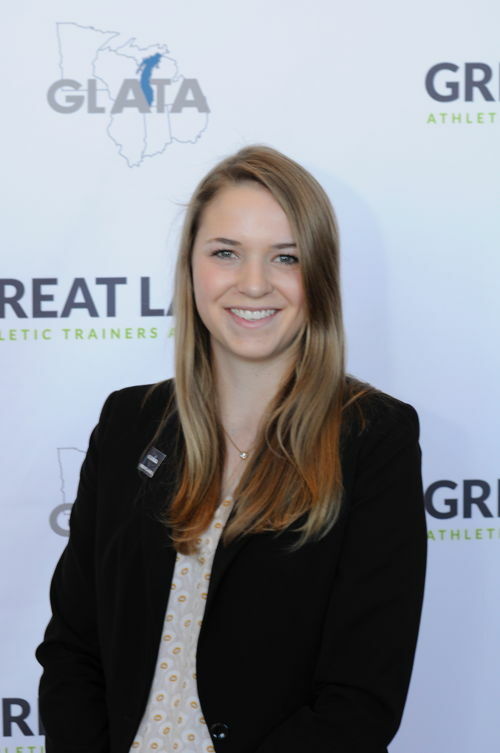 Emily is also a member of OATA and active with the Ohio State Athletic Training Club. Her professional interests include emergency care, sports science for injury prevention, mentorship with younger students, and advancement of athletic training. She also enjoys working as a Supervisor and a Personal Trainer within the Recreational Sports Department at Ohio State. In her spare time she enjoys running, making artwork, and exploring new places. In the future, Emily plans to pursue a post professional degree in athletic training and continue working at a high level collegiate or professional setting while continuing her professional service. 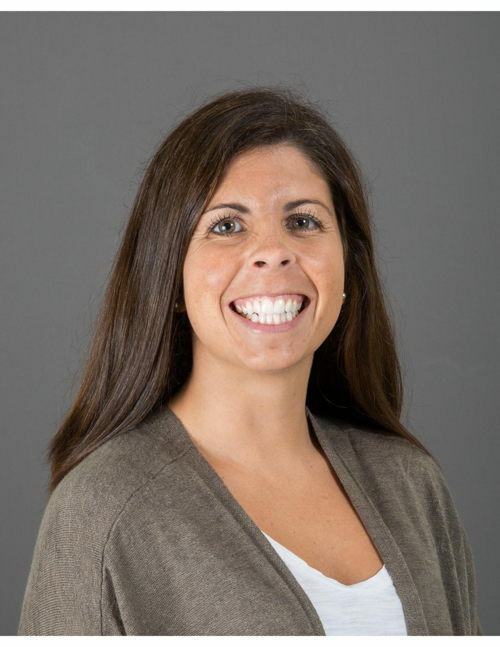 Courtney Lewis is an Assistant Professor of Athletic Training at Eastern Michigan University. She obtained her undergraduate degree from the University of Michigan, and her Master’s degree from the University of Georgia where she provided clinical care for the Women’s Tennis team for two years. 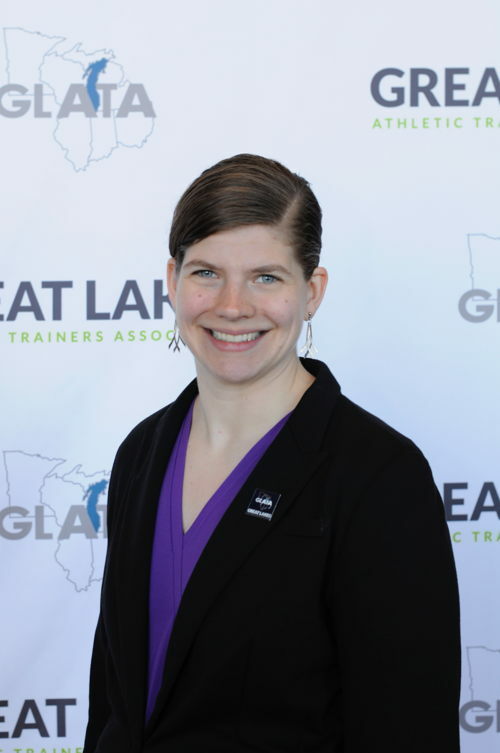 She is currently ABD, and in the process of completing her PhD in Educational Leadership from Eastern Michigan University with a focus on athletic training students and how they experience their education. 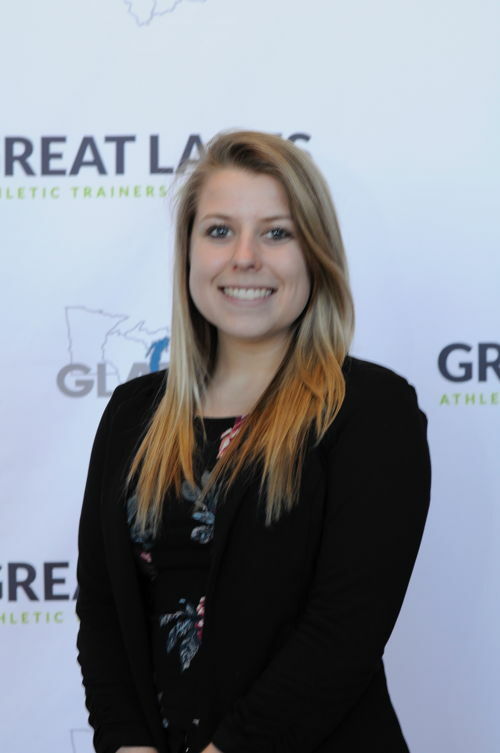 At Eastern Michigan University she serves as the Faculty Advisor to the Athletic Training Student Organization. 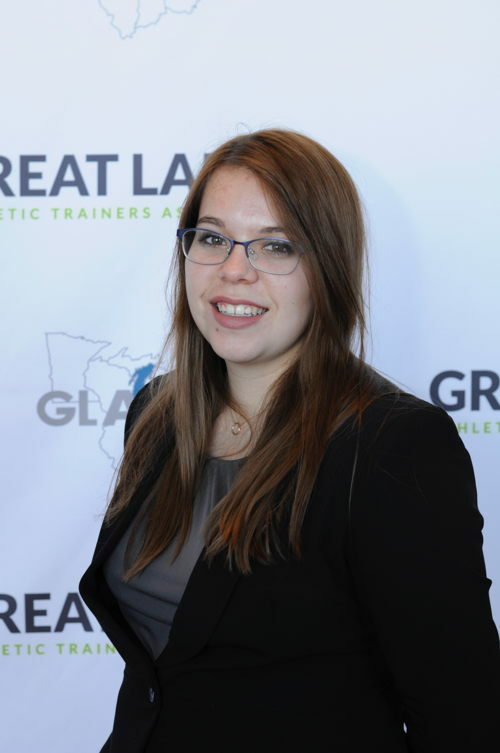 She is honored and excited for the opportunity to serve as an advisor to the GLATA Student Senate and looks forward working with a variety of athletic training students as they navigate their educational experiences and grow both personally and professionally. Courtney is a Michigan native, loves running and spending time at the lake, and is a very happy to be a wife to Matthew and a mom to Jack. Alyssa Anderson is an Assistant Professor of Athletic Training and Clinical Education Coordinator at North Park University in Chicago. She holds degrees from North Park University (BS) and Ohio University (MS). At North Park, Alyssa is also the athletic trainer for the women’s softball team and a member of the Presidential search committee. Professionally, she serves as the Region 1 Representative for the Illinois Athletic Trainers’ Association Young Professionals Committee. Alyssa loves traveling – she went to Kenya in 2016 as the athletic trainer for an Athletes in Action women’s basketball team. She is excited to be a sounding board for the GSS and hopes to encourage students as they discover what life-work balance looks like for them.